Lídia Cipriano is no stranger to sacrifice, a single mother of two children, she knows well that sometimes sacrifices are made for the health and benefit of family and community. 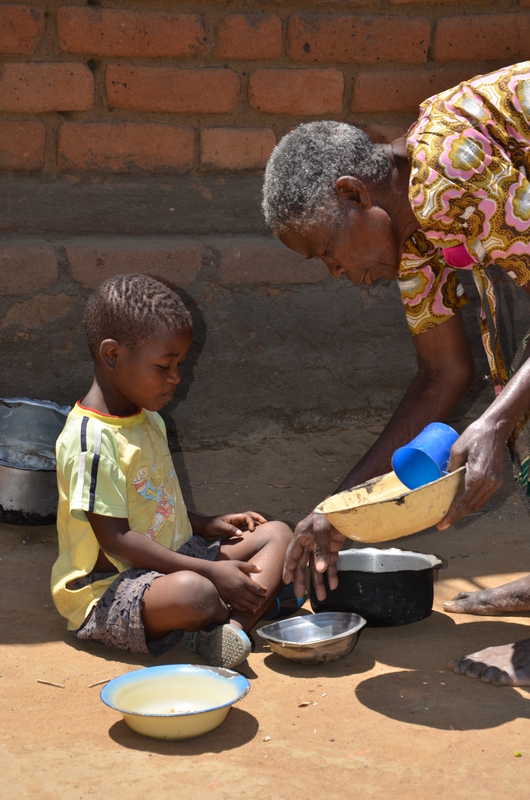 Cipriano lives in Lualua, a village in Mopeia District in Mozambique’s Zambezia province where she offered a piece of her land to the local government to help fight against malaria in her community. In collaboration with the U.S. President’s Malaria Initiative (PMI) VectorLink Project, the Serviços Distritais de Saúde Mulher e Acção Social (SDSMAS) Mopeia used the donated land to establish an operation site to help the project implement indoor residual spray (IRS) activities in the district. Malaria is considered the most important public health threat in Mozambique, where it accounts for nearly one-third of all deaths and 42 percent of deaths in children under five years old. PMI VectorLink equips countries to plan and implement safe, cost-effective and sustainable IRS programs and other proven life-saving malaria vector control interventions with the overall goal of reducing the burden of malaria. To safely and efficiently implement IRS, an operations site must be selected that is strategically located for accessibility and logistics is essential. Lídia Cipriano, in front of the storage facility at the newly established operations site in Lualua. 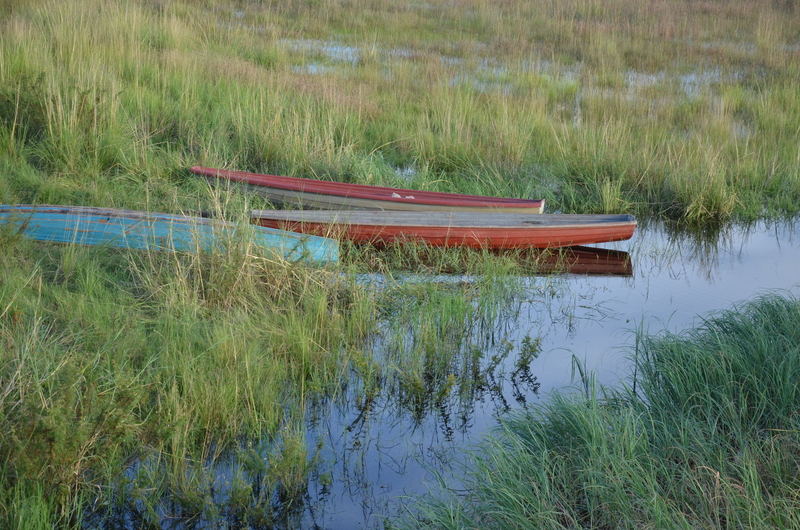 Lualua Village is about 45 km away from the nearest operation site in Posto Campo. Last year, the IRS team faced enormous transportation and logistical challenges to spray Lualua Village and its surrounding communities. In Mozambique, all IRS operations sites are situated on local government land and close to a health facility. In Lualua, however, the local government did not have any land to accommodate an operations site. In their search, the Mopeia District Health Directorate and PMI VectorLink approached Cipriano about a piece of her land. Lídia’s sacrifice means sharing a portion of her land with the project resulting in disruption of her day to day life during the spray campaign. 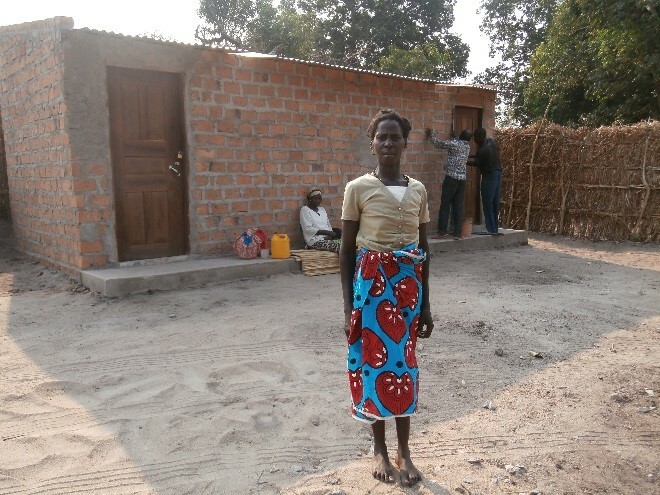 Despite this, Lídia felt that protecting her community from malaria was more important. The newly established operations site will allow the project to hire local talent and recruit 31 new staff members from Lualua village, unlike in previous years where seasonal workers had to be recruited from the neighboring Posto Campo village. The operations site will be used to implement IRS activities in about 40 communities targeting about 7,600 structures and protecting an estimated total population of 33,800 against malaria. 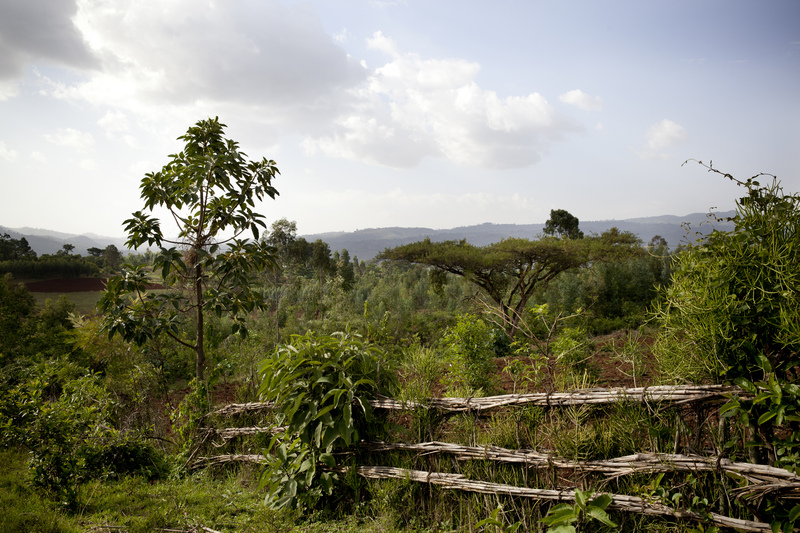 In Ethiopia, malaria is endemic to the country’s western Gambela Region and one of the region’s top three causes of sickness and death. The 2015 Malaria Indicator Survey indicated that malaria prevalence is higher in Gambela (18.4%) than in any other region in Ethiopia (national average of 1.2%). In 2017, Gambela’s health facilities reported 102,053 cases of malaria and 13 malaria deaths. 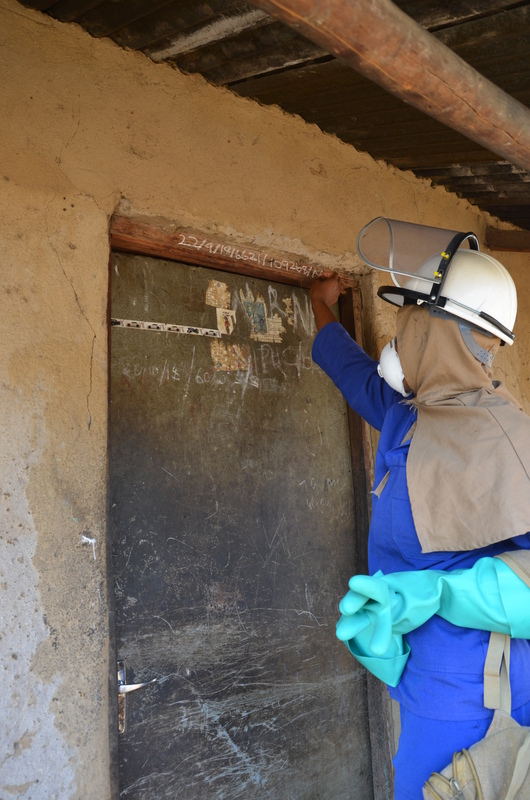 To help reduce the burden of malaria, the U.S. President’s Malaria Initiative (PMI) VectorLink Project conducted indoor residual spraying (IRS) throughout Gambela in 2018. IRS involves spraying insecticide on the indoor walls and ceilings where mosquitoes that carry the malaria parasite tend to rest. The PMI VectorLink Project worked with the Gambela Regional Health Bureau (RHB) to plan for and spray the homes of all residents in the 14 districts of the region with an estimated population of 315,577. 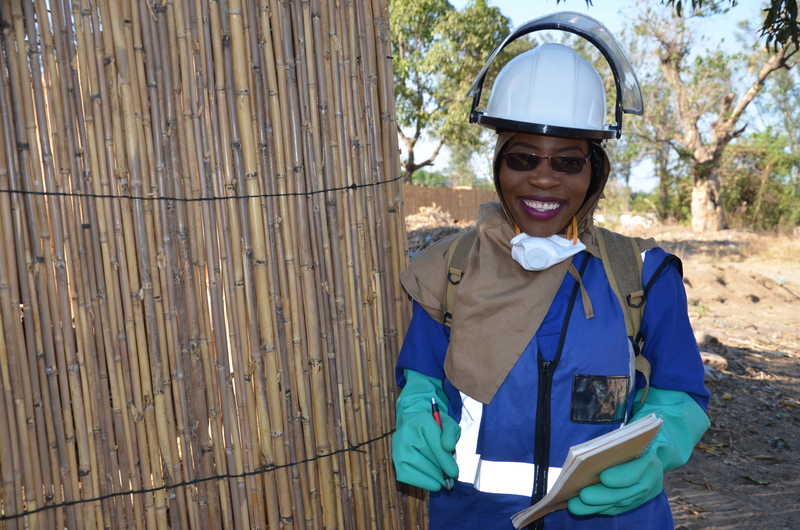 The project successfully sprayed 95,564 structures over the course of 20 days, protecting 301,382 people from malaria, including 13,051 pregnant women and 62,792 children under five. 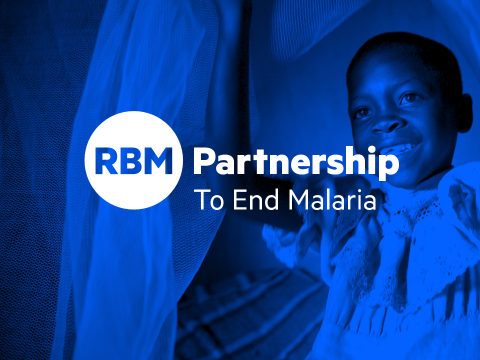 The RHB described the 2018 results of the IRS campaign in Gambela Region as one of the best malaria interventions ever experienced in the region. According to data from the RHB, malaria cases in September 2018 were 39% lower than those recorded during the same month in 2017. Annual deaths attributed to malaria also fell from 13 in 2017 to 3 in 2018. In 2018, Gambela Region recorded a cumulative 57,882 cases of malaria compared to 94,257 in 2017 and 92,465 in 2016. Regional Malaria Health Promotion Disease Prevention Officer, Jay Orem, said that the 2018 statistics are a result of good planning, quality training, and effective supervision, which led to high coverage and quality IRS. Although the region conducted spray campaigns in the past, in 2018, Orem said the teams received more systematic supervision and submitted performance data daily. “PMI VectorLink Project has made a huge difference in planning, training and supervision for IRS. This is what has been missing for many years in Gambela Region to eliminate malaria,” said Orem. Female participants during a practical training session. Photo by Daniel Eninu. Malaria remains the leading cause of morbidity in Uganda, accounting for 4% of all estimated malaria cases in 2017, according to the World Malaria Report 2018. 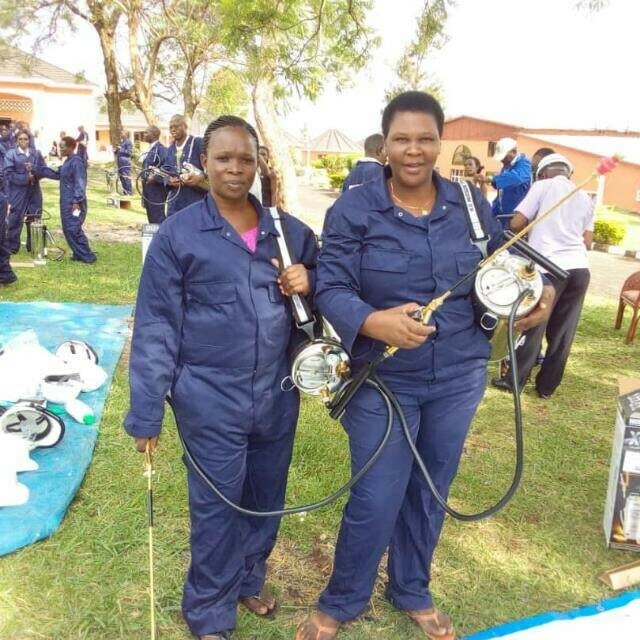 To reduce the burden of malaria in Uganda, the President’s Malaria Initiative (PMI) VectorLink Project implements indoor residual spraying (IRS) to kill the mosquitoes that transmit the disease. PMI VectorLink works with Uganda’s Ministry of Health in planning and implementing IRS in 15 districts, strengthening the country’s capacity to manage IRS. Because an important part of increasing capacity is ensuring the participation of women in IRS, the project encouraged women who were already working in the district health offices and the National Malaria Control Program (NMCP) to attend the training. “Our aim is to strengthen the capacity of districts in all the malaria high-burden districts in Uganda so that they are able to plan and implement quality IRS and reduce malaria in their districts as one of core responsibilities. This is the responsibility of each person. I really appreciate the fact that the project has taken steps to increase female participation in IRS,” said Dr. Jimmy Opigo, Program Manager for NMCP Uganda. He added that the only way to defeat malaria is to involve every member of society affected by malaria, and women play a critical role in these efforts. In the past, women’s participation in IRS has been significantly lower than that of men due partly to gender-based barriers that can constrain women’s participation. Mothers of young children can find it difficult to attend required trainings to qualify for IRS jobs. To increase women’s participation in IRS, and more specifically, to build a cadre of women in supervisory roles, the project provided meals and accommodations during trainings for participants and their babysitters. This allow for the full participation of mothers of young children during a recent five-day “boot camp” training held December 3-7, 2018. Nineteen women were trained on the implementation of IRS, supervision and gender inclusion, a 12 percent increase from last year. Beatrice Apong, Health Inspector for Lira District, attended the training with her three-month-old baby. “I was really honored to be part of the IRS boot camp training,” she said. “I am grateful to the project for the support accorded to my baby helper which gave me ample time to be part of the training.” She added that she will work to ensure that more women are recruited and participate actively in IRS as a member of the district health team. World Health Organization. (2018). World Malaria Report 2018. World Health Organization. http://www.who.int/iris/handle/10665/275867. For Agbethia Malenga, there is no job a woman can’t do. With a certificate in automobile mechanics, this 29-year-old is not your stereotypical woman. 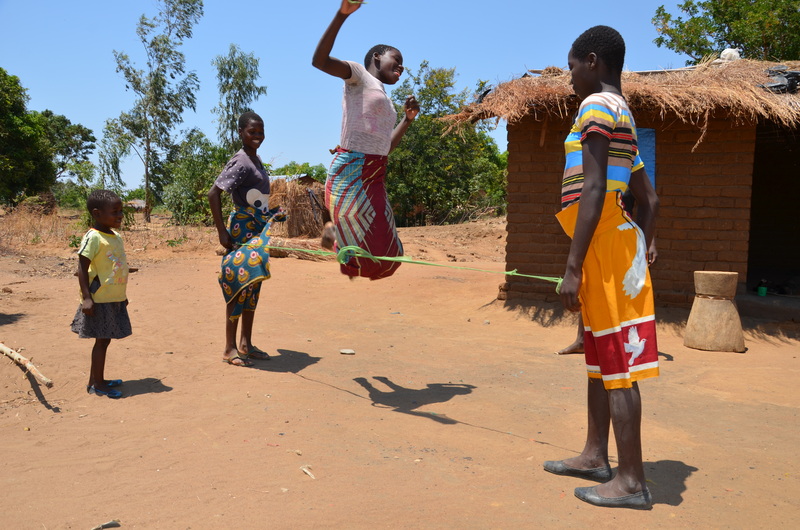 But it’s women like Malenga who are helping to challenge gender roles and making a difference doing it. 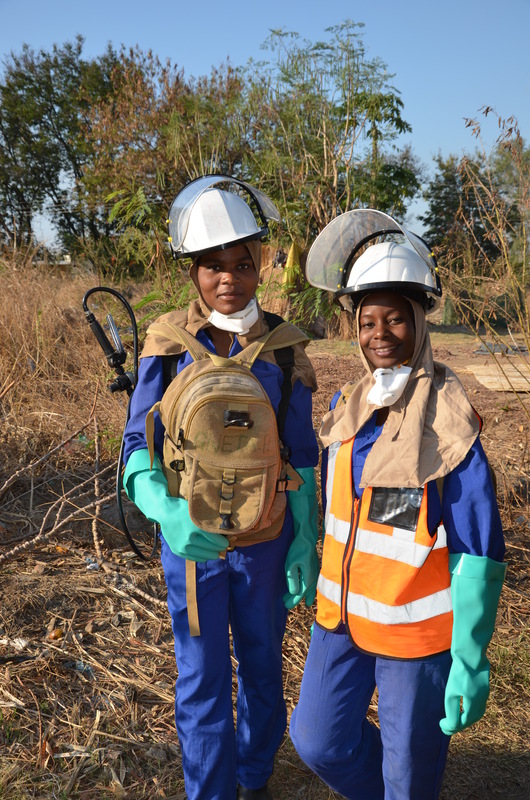 Recently, Malenga played a key leadership role in helping the U.S. President’s Malaria Initiative (PMI) VectorLink Project in Malawi to successfully carry out the country’s first Indoor Residual Spraying (IRS) campaign since 2012. IRS kills mosquitoes that transmit malaria by spraying insecticide on the walls and ceilings where mosquitoes prefer to rest. 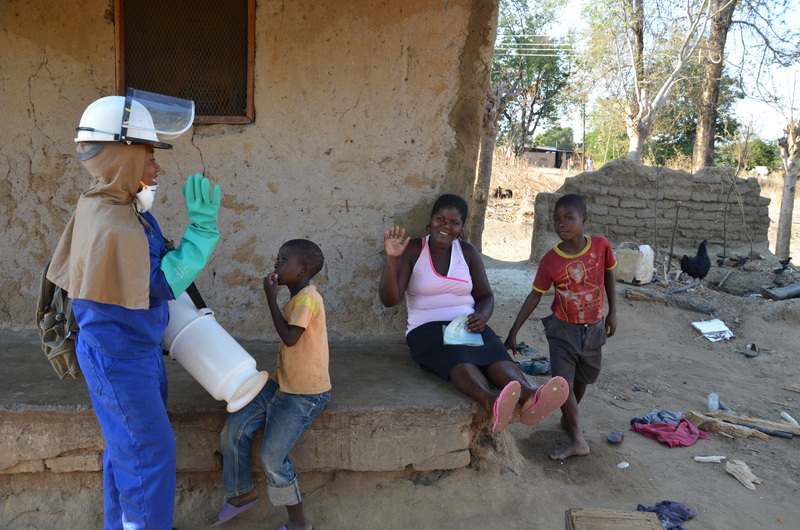 PMI returned to Malawi in 2018 to help reduce the burden of malaria in one of the country’s hardest hit areas: Nkhotakota District. Pregnant women and children under five are the most vulnerable to malaria. 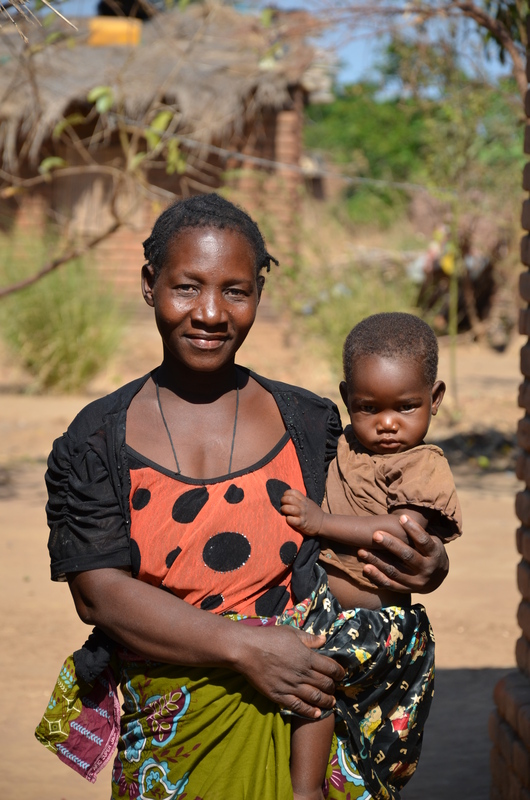 As the primary caregivers, women face an additional burden when malaria strikes a family. Malenga is excited to help bring those numbers down. In 2018, PMI VectorLink sprayed 112,264 structures, protecting 501,324 people including 11,066 pregnant women and 90,953 children under five. 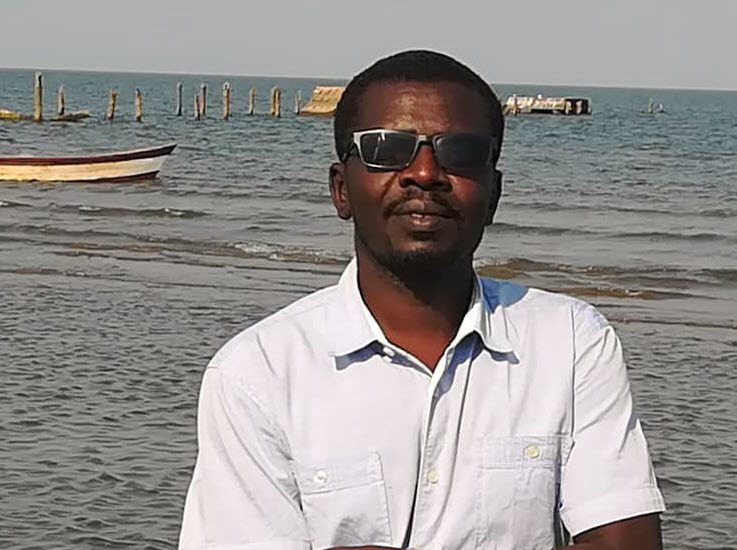 Malenga served as an IRS Site Manager, overseeing 127 people, including Spray Operators, Team Leaders, Washers, Supervisors, Storekeepers, Security Guards, as well as a Monitoring and Evaluation Assistant, a Finance Assistant, and an Information, Education, and Communication Assistant. PMI VectorLink encourages women to apply for all positions on the project and ensures equal opportunity for women in supervisory roles. 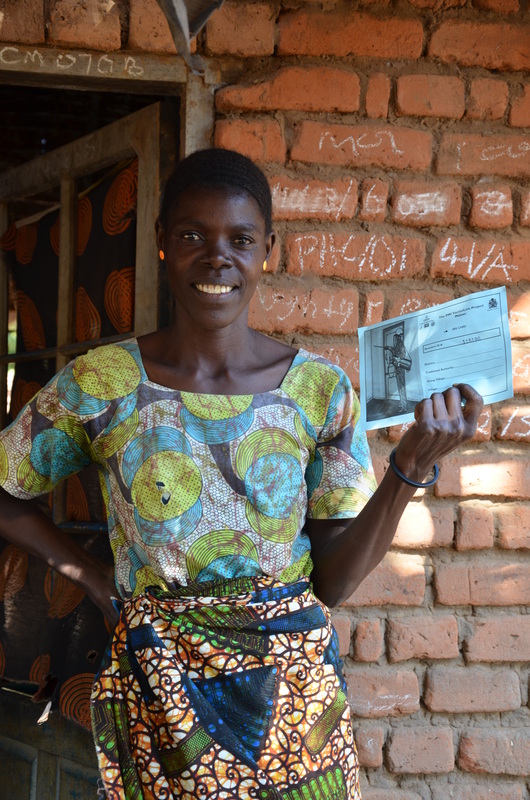 In PMI VectorLink Malawi’s first year of implementation, 40% of all seasonal staff were women. Malenga said the project taught her how to work under pressure and gave her the confidence she needed to manage a large site. “PMI VectorLink was very transparent in the hiring process,” she said. “The security and safety precautions on the project were excellent. 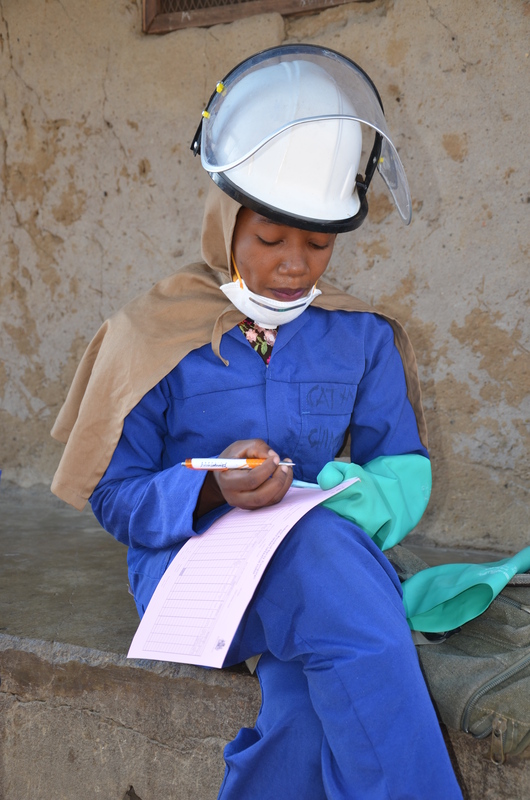 They ensured women had the right Personal Protective Equipment (PPE) and sufficient training to protect themselves.” The project provided sexual harassment guidelines to all its workers with posters and job aides in the local language Chichewa and regular SMS messages to workers’ phones to reinforce the training. The project also ensures women and men have separate changing areas to ensure privacy. Promoting the role of women in IRS – an area that has historically been male-dominated – is helping to improve the overall economic power of women. Malenga and a few of her female team members. 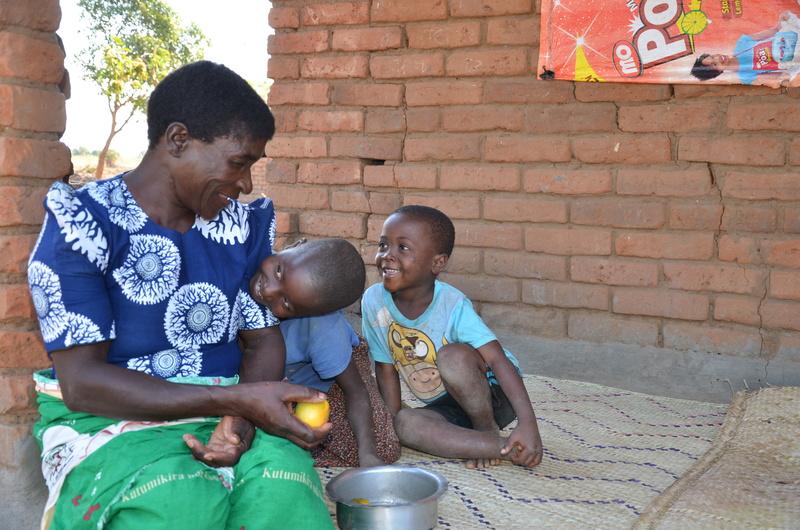 When family members, particularly children, are sick, women are most often the primary caregivers in Malawi. 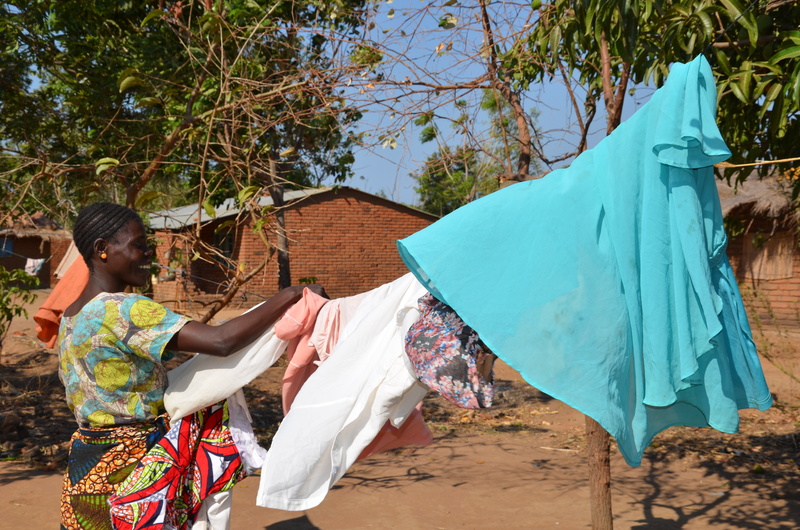 IRS helps protect people from malaria, enabling women like Elizabeth Kwanjiwao to work and earn money through activities such as washing clothes. 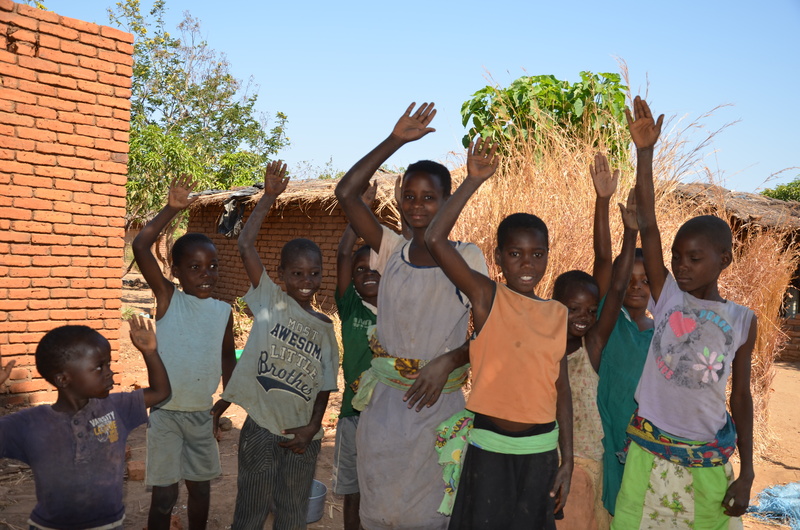 These kids may be smiling, but they are raising their hands because they’ve all had malaria…this year…multiple times. 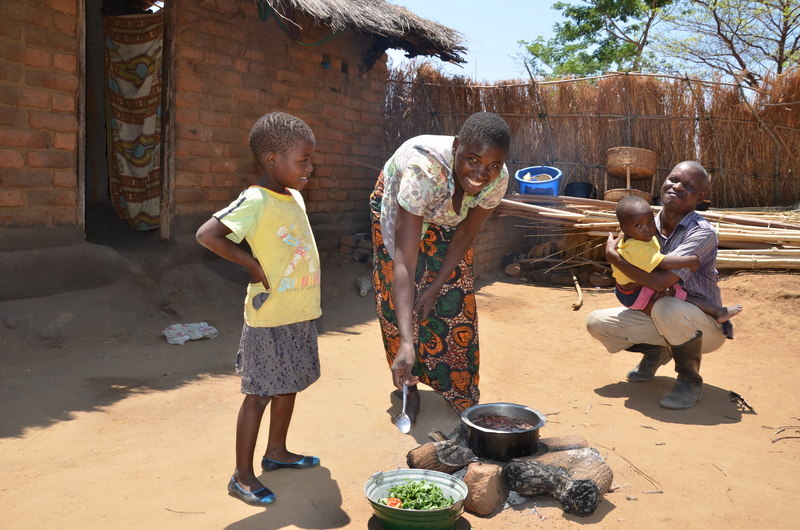 Six million Malawians – one-third of the country’s population – suffer from malaria every year. The PMI VectorLink Project recently conducted an indoor residual spraying campaign to kill the mosquitoes that carry malaria. These kids are smiling because they said that they know that the people who come into their village “looking like soldiers” to spray their houses are saving their lives. Heroes come in many forms. These teen girls are out of school because they couldn’t afford school uniforms, which cost approximately US$2. Their parents said that the children are often ill from malaria and would miss school frequently so it was hard to justify spending the family’s minimal earnings on uniforms if they couldn’t go to school. With their homes sprayed these girls are looking forward to going back to school. The PMI VectorLink Project marks the houses to indicate that they were sprayed. 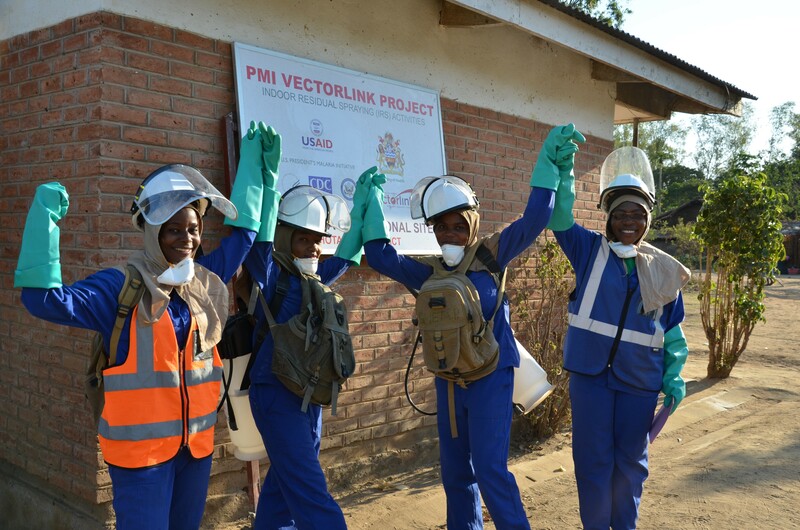 40 percent of PMI VectorLink Malawi’s seasonal staff were women. Promoting the role of women in IRS – an area that has historically been male-dominated – is helping to improve the overall economic power of women. PMI VectorLink provides opportunities for women to serve in supervisory roles. 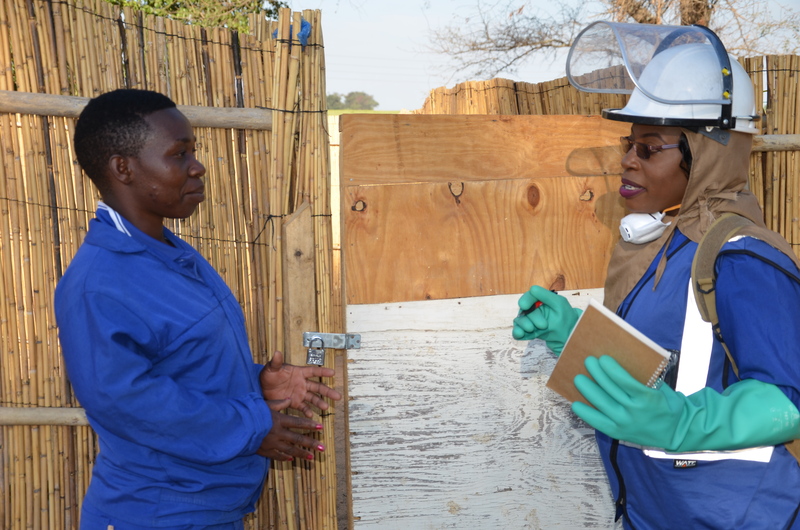 PMI VectorLink spray operators ensure households know how to prepare their homes for IRS and talk to the community about malaria prevention methods. 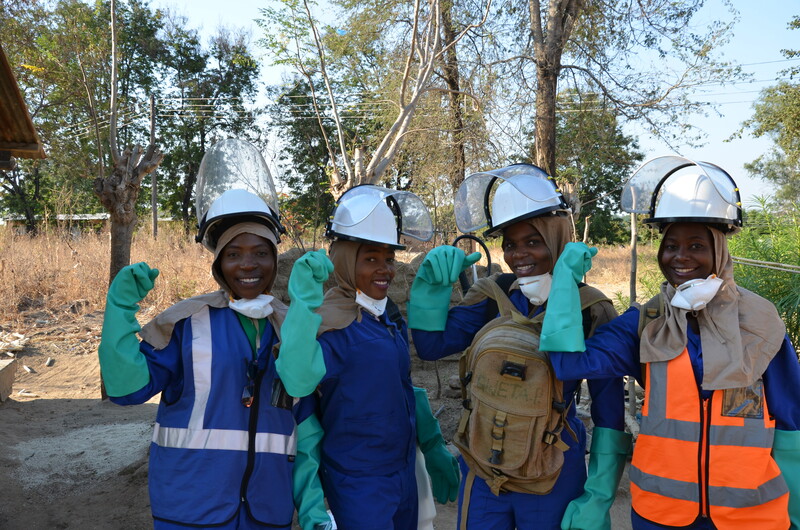 Four women fighting malaria: an IRS Site Manager, two spray operators and an IRS Supervisor. 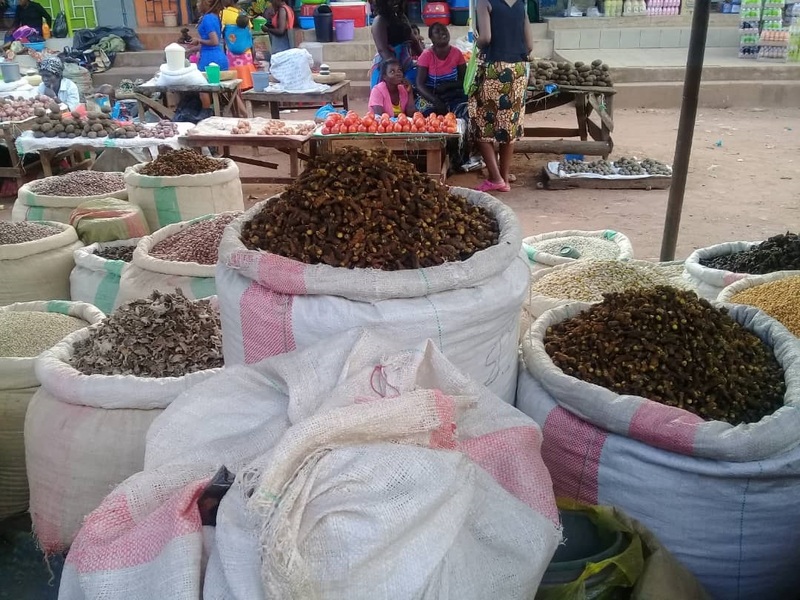 The women are using their income to pay for their children’s school fees, improve their homes from mud houses to ones built with cement blocks, buy seeds to plant maize for their family and invest in other income-generating activities. 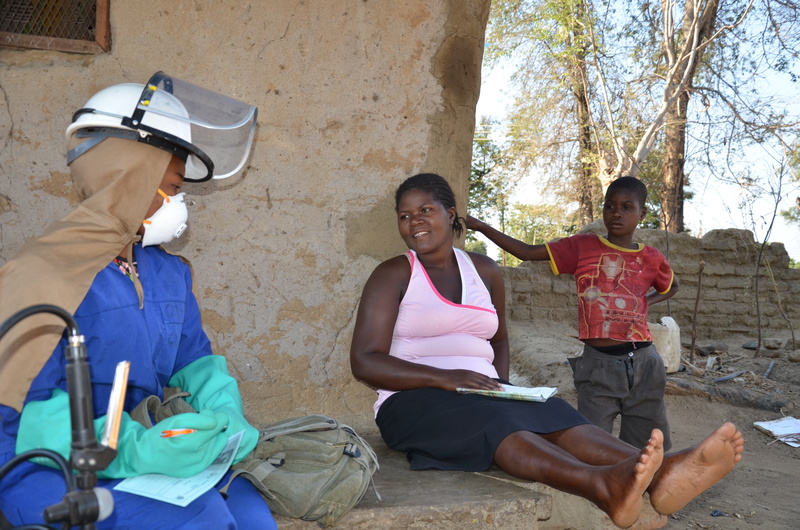 Dr. Michael Kayanga, Vector Control Program Manager for the National Malaria Control Program, said that PMI brought IRS back to Nkhotakota District because it’s one of the highest malaria-burdened districts in the country. “Children under five are expected to contract malaria twice in one year but more than once a month is common for children in this area. 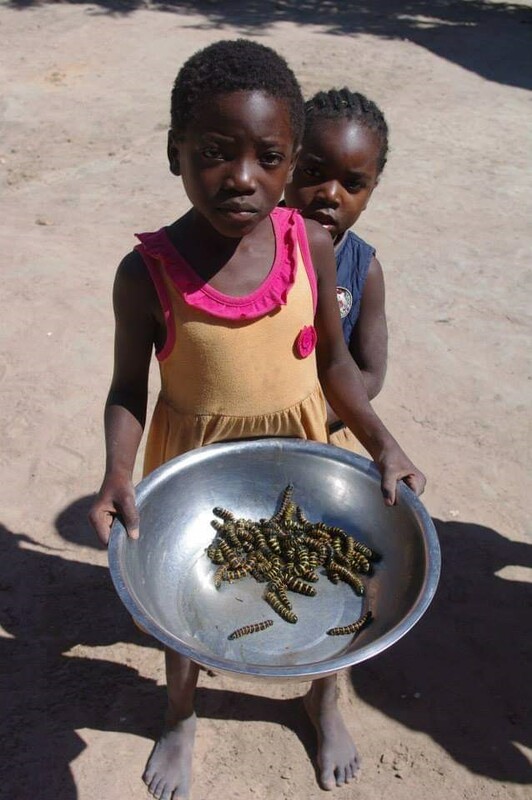 When sick so often, children can easily slide into malnutrition.” PMI VectorLink recently protected 501,324 people from malaria, including 11,066 pregnant women and 90,953 children under five.